Elise Edmonds (Curator) and Helen Casey (Conservator) tell the story of the Colarts collection and its restoration for the exhibition 'Colour in Darkness'. A descriptive transcript of this film is available. Hand-coloured photographs by 'digger artists' exhibited for the first time in 90 years. 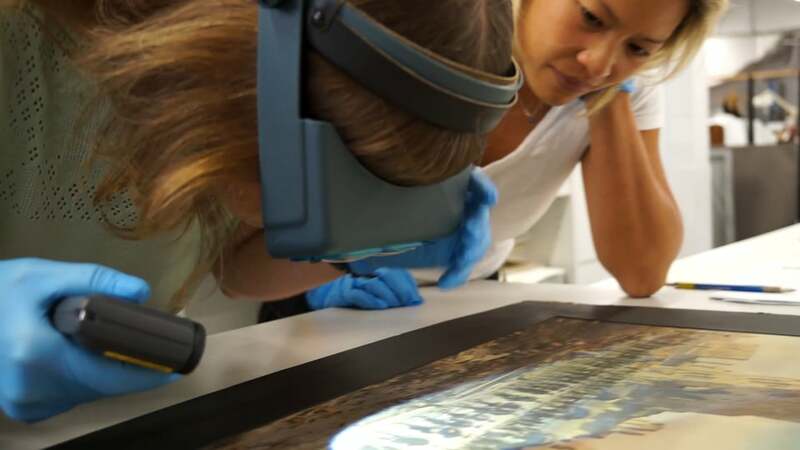 Behind the Scenes of "Colour in Darkness"
Conservator Helen Casey explains the extensive work undertaken behind-the-scenes to revive the Colarts collection for display in "Colour in Darkness".